Hi! At Wine Club Reviews we review companies that offer wine club subscriptions and sell wine gifts. This is a review of Gourmet Food Clubs. One of the few red wine of the month clubs which exclusively ships Cabernet Sauvignon, with a focus on the California Central Coast, especially Paso Robles. The Cabernet produced in this region is known for natural acidity and big fruit. As a cool-climate grape growing in a warm-climate region, some vintages are definitely better than others. Please note: we have never received a shipment from this wine club. This red wine of the month club focuses on California's Central Coast, including Paso Robles, San Luis Obispo, and Santa Barbara County. These regions are known for fruit-forward and high-alcohol red wines, also known as Big Reds, and are the perfect accompaniment for steaks, pizzas, and burgers. Explore one of California's fastest-growing wine regions with this club. If you’re interested in joining a GourmetFoodClubs.com Wine Club, it’s hard to know exactly what to expect. The company specifically doesn’t announce what wines they’ve sent (they think “it’s part of the surprise”) and when pressed was reluctant to share that information with us. They did provide us with an extensive list of wineries they’ve worked with and for the clubs that are specifically not focused on International selections, it looks like most of the wines will be from California’s Central Coast area, specifically Paso Robles because “area as these wines are boutique in nature, have a higher value to price ratio and as we like to say, ‘you’ll be saying you knew them when…’ meaning you are tasting tomorrows wine stars!” We agree... our own tasting experience in Paso Robles tells us there are some wonderful values and since new wineries keep popping up seemingly overnight we know there will be no shortage of variety. There are a few things we really like about Coastal Vineyards Wine Clubs, despite the fact that their value ratings on our site are a little low. Their value ratings are low because we feel their pricing is too high and they include shipping in the cost of the membership. 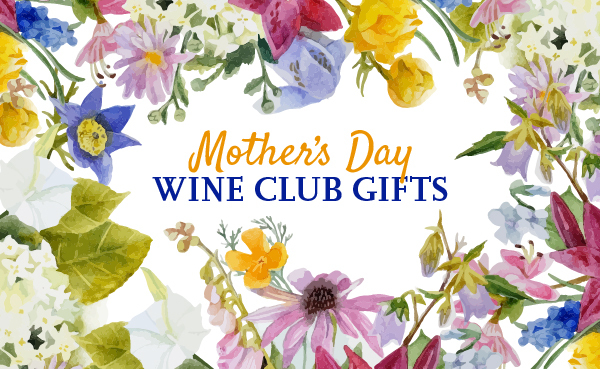 This is fine for gift-giving because you want to know what you’re spending, but when you’re joining a club for yourself on an ongoing basis, it’s much better to know how much you’re paying for wine and how much you’re paying for shipping and packaging. One thing we really like about GourmetFoodClubs.com Wine Clubs is their passion for wine! They offer a diverse set of wine clubs to appeal to many types of wine drinkers at many levels. They want you to discover and love wine as much as they do. Another thing we really like is their focus on the Central Coast area. Unlike Sonoma and Napa, the wine prices in these areas are set less by real estate value and 30-year reputations and more on the quality of the wine being produced today. This means more value for you as the consumer! Also, these wines are harder to find outside California so this kind of access is a great way to experience California wine more fully. Gourmet Food Clubs offers 3 different wine clubs, read our reviews.